This year also, the annual meeting of the contemporary artists, in Carrozzeria Rizzieri di Pontedera. make and send your mail art…. Saturday, the 26th and Sunday the 27th of September 2009. 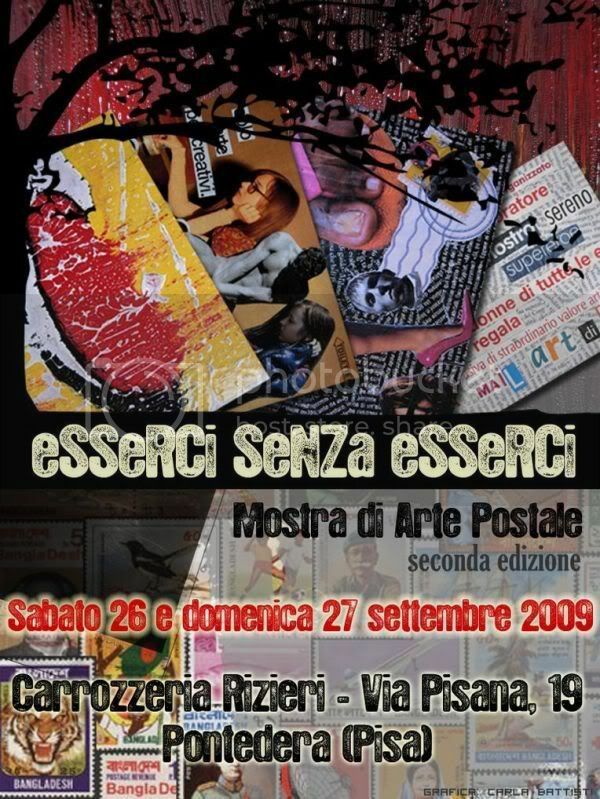 ALL MAIL ART RECEIVED NOT LATER THAN THE 24TH OF SEPTEMBER WILL BE EXHIBITED ON THE SHOW.